Much is being said, and will be said, about the current IVF Bill being proposed. From the very outset of assisted fertilisation, two simple sacrosanct rights should always be maintained. These are the principle of being pro-life and the principle of protecting the rights of the child – born or unborn. Pro-life points to a mentality that seeks to create life and not destroy it. The rights of the child include primarily the right to know his identity and also to be given an upbringing by a parent/parents who strive to give the child what is best. Any decision affecting reproduction/fertilisation needs to respect these two principles to the full. 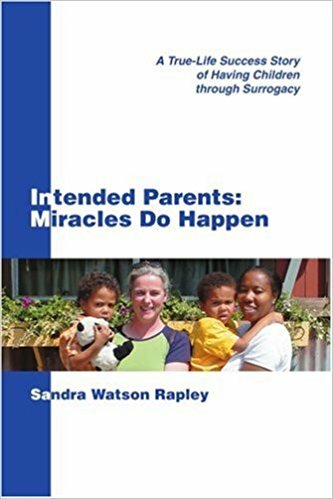 For more than a quarter of a century, it has been helping thousands of couples realise their dreams of becoming parents. The Shropshire and Mid Wales Fertility Centre is one of the top IVF clinics in the UK. But it has outgrown its current home at the Royal Shrewsbury Hospital and is now set to move to a new facility on the outskirts of Shrewsbury. From this summer, the centre will be operating from Severn Fields Health Village in Sundorne. The Shrewsbury and Telford Hospital NHS Trust, which runs the facility, says it will mean better facilities for patients and the multi-professional fertility team. What are fertility preservation techniques for cancer patients? Fertility preservation is becoming increasingly important to improve the quality of life, especially for cancer survivors. This is because the treatment options for cancer namely chemotherapy and radiotherapy have a major impact on reproductive potential. It not only deteriorates the quality of eggs and sperms and affect the reproductive organs but also lead to complications when getting pregnant. This is the reason, why many cancer survivors fail to conceive after undergoing cancer treatment. Due to lack of awareness about the feasibility of fertility preservation technique, most cancer patients are unaware of the option available for them to conceive. Dr Hrishikesh D Pai, Medical Director, Bloom IVF explains more about fertility preservation techniques for cancer patients. Also read about reasons that are coming in the way of your pregnancy. Tina and Benjamin Gibson, 26 and 33 respectively, weren’t able to have children. That is, until Tina gave birth to their daughter, Emma Wren Gibson, who was frozen as an embryo for 24 years. Tina said she remembers thinking that she simply wanted a baby. Whether that baby was record-setting or not, wasn’t in Tina’s thoughts.